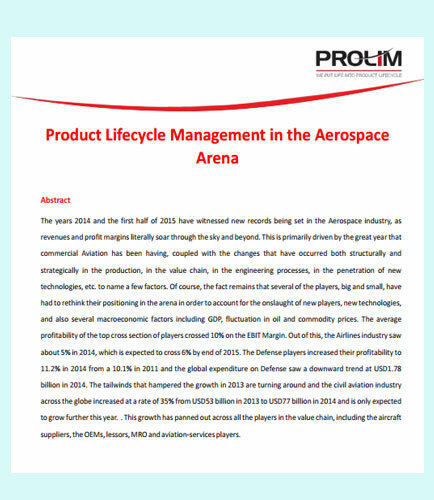 "PLM in the Aerospace Arena"
Aerospace companies have the constant need to continuously innovate the way they design, create, and produce their products and Product Lifecycle Management gives them the support of one comprehensive platform that allows them to do so. Those who have embraced Product Lifecycle Management as a part of their development processes have already seen an acceleration of 20% to 50% in the development time, along with the associated cost savings. The global business models have become more complex as corporations are growing through major acquisitions, and divesting their portfolio, walking away from non-core money losing business activities. 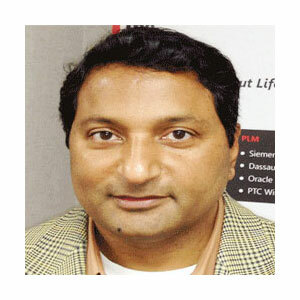 The new age companies require Product Lifecycle Management (PLM) solutions that collaborates and manages all of the critical product information and business processes that goes into bringing successful products to market. PROLIM, headquartered in Farmington Hills, MI, aims to help such corporations accomplish their PLM business goals with strong PLM Technology R&D capabilities.